Background and objective While risk factors for suicide have been established, the impact of social context in moderating the impact of these factors is poorly understood. Methods Data from case–control studies published between 1950 and 2006 that examined socio-demographic risk factors for suicide in clinical, occupational and general populations were extracted. Odds ratios for risk factors for suicide (employment, ethnicity, living circumstances and marital status) were correlated with the prevalence of these risk factors among controls. Results Data were extracted from 54 studies. Negative correlations were demonstrated for the odds ratio and prevalence of unemployment (ρ=−0.73), living alone (ρ=−0.46) and being from an ethnic minority community (ρ=−0.68). Conclusion The impact of some socio-demographic risk factors for suicide appears to be accentuated when they are less prevalent in the population from which cases are derived. When assessing an individual's risk of suicide, consideration should be given to the prevalence of risk factors in the area where the individual lives. There has also been longstanding interest in social and contextual factors which give rise to suicide. It has been argued that in order to develop a better understanding of the aetiology of suicidal behaviour, the relationship between individual risk factors and social context needs to be understood.7 Evidence that the strength of an association of risk factors for suicide is moderated by social context came from a study by Neeleman and Wessely.8 The relationship between the ethnicity of people who die by suicide in south London and area-level data on the ethnic mix of communities where they live was examined. They reported that, in this part of London, suicide among people from ethnic minorities was more likely to occur in areas which were predominately white compared with those which were more ethnically diverse. We set out to examine the relationship between individual-level socio-demographic risk factors for suicide and contextual factors by conducting a secondary analysis of data from case–control studies. We aimed to find out whether the impact of four established risk factors for suicide—employment, ethnicity, living alone and marital status—were moderated by the prevalence of these risk factors in the population from which those dying by suicide had been identified. We attempted to identify all case–control studies which examined risk factors for suicide and were published in English in peer-reviewed journals between January 1950 and the end of October 2006. We searched bibliographic databases (MEDLINE, EMBASE and PsycINFO) using the truncated terms: suicide* AND case control* OR psychological autop*. We supplemented this search by checking the reference lists of all included papers and those of a review paper exploring risk factors for suicide.3 Titles and abstracts of all articles were examined, and full versions of papers were studied in detail if they appeared to meet inclusion criteria. We included papers that focused on occupational and clinical populations, as well as those that used routine data to compare the characteristics of people who died by suicide with those of the population they came from. Papers were excluded if they focused on a specific method of suicide (eg use of firearms or hanging). Cohort studies were excluded because delays between assessment of prevalence of risk factors and subsequent suicides mean they may not provide an accurate estimate of prevalence at the point when deaths occurred. Some papers, which presented combined data on suicide and attempted suicide, were also excluded. While studies that matched cases and controls by age and gender were included, we excluded studies which matched cases and controls by other socio-demographic variables. All data were extracted by two researchers (PG and BK) who independently entered details of population studied, odds ratios and prevalence of risk factors onto two separate databases. Data were extracted on the odds ratio of suicide among those who were unemployed, from ethnic minority communities, unmarried and living alone. Data were then extracted on the prevalence of each of these variables among controls. Not every study which met the inclusion criteria contained information on all four factors, but each study included in the analysis had relevant information on at least one of them. We identified 545 studies for possible inclusion in the review. Of these, 57 (10.6%) met our inclusion criteria and contained details of 54 different studies (see figure 1). Details of these 54 studies are provided in supplementary table 1 (available online only). Study sample sizes varied considerably with the number of cases ranging from six to over 13,000. Most studies (N=37) compared the characteristics of people who died by suicide with those of controls selected from the population from which cases were derived. Twelve studies compared the characteristics of cases and controls from those in contact with mental health services. The remaining five studies compared the characteristics of cases with routine data on the characteristics of people in the population from which cases were derived. Six (11.1%) studies focused on suicide among older adults, five (9.3%) focused on suicide among young people, and 46 (85.2%) studied suicide across age groups. Twenty-nine studies provided information on employment, 19 on ethnicity, 37 on marital status and 22 on living circumstances. Scatter plots of odds ratios and prevalence of risk factors showed that the relationship between some variables were non-linear (see figure 2). The strengths of associations between the prevalence and odds ratios for the four risk factors for suicide are presented in table 1. Inverse associations were found between the prevalence and odds ratios for unemployment, living alone and ethnicity. Inverse associations were found between the prevalence and odds ratios for unemployment and ethnicity in general population studies and between prevalence and odds ratios for unemployment among those in contact with mental health services. While an inverse association was found for marital status in general population samples, this was not seen among people in contact with mental health services. When included studies were restricted by excluding the 11 studies which focused specifically on young people or older adults, inverse relationships remained between the prevalence and odds of suicide for ethnicity and unemployment, but the inverse association between prevalence and odds of suicide in relation to living alone was no longer seen. Scatter plot of prevalence of socio-demographic risk factors against log odds ratios among people who do and do not die by suicide. This secondary analysis of data from case–control studies examining risk factors for suicide provides evidence to support the notion that the strengths of risk factors for an individual are moderated by the prevalence of these factors in the population they come from. The strengths of this study are the systematic approach to identifying case control studies that we used and the rigorous system for ensuring that data were extracted in a reliable manner. We believe that this approach to combining data from previously published case control studies provides a relatively quick and cost-effective way to examine the relationship between risk factors for health-related problems and social context, and that it has the potential to be used to examine the epidemiology of other mental and physical health problems. The study has several limitations which stem from our use of routine data. In some instances, it was unclear how risk factors had been classified. For instance, marital status was defined in some studies as either married or single without providing information about how those in long-term relationships were classified. The size of population in each of the constituent studies varied greatly. While larger studies can justifiably be considered to generate more precise estimates of the strength of risk factors for suicide, we do not know at what level social context exerts its greatest effect. For instance, is the impact of unemployment moderated more by the unemployment rate in a person's neighbourhood, region or the nation in which they live? It is possible that the size of the area which asserts the greatest effect varies depending on the risk factor being studied. For instance, the impact of living alone may vary depending on one's immediate neighbours, but the impact of unemployment may be moderated by the prevalence across a larger area. The strengths of associations between risk factors and prevalence in the population suggest that these findings are unlikely to be explained by chance. However, we have not been able to examine the impact of potential confounding factors. Our finding that the strength of the inverse association between odds ratios and prevalence of unemployment is at least as high among people in contact with mental health services as it is in general population samples suggests that these associations are not confounded by mental illness. While there are numerous other risk factors for suicide that could be associated with the odds ratios that we examined, it is unclear what if any factors might confound the relationship between these and the prevalence of risk factors in the population that cases came from. Nonetheless, we cannot rule out the possibility that some or all of the associations we have reported are the result of confounders not included in our analysis. These data provide evidence to support the findings of Neeleman and others that the impact of risk factors for suicide varies according to the prevalence of these factors in the population from which cases come.8 16 These data provide evidence that this phenomenon is seen across different populations and that the impact of prevalence of risk factors for suicide operates in relation to a range of risk factors such as employment, housing and ethnicity. The association between the prevalence and odds ratio for employment status and suicide was particularly strong. In populations where unemployment levels were very low (eg, in Finland and Frankfurt, Germany in the 1990s), levels of unemployment among those dying by suicide were especially high.13 14 In studies among older adults and people with severe mental illness who generally have low levels of employment, levels of unemployment among those dying by suicide were generally no greater, or even lower, than those among controls.12 15 17 It has been argued that the personal impact of being unemployed may be lessened in a context of high unemployment.10 18 However, there are other potential explanations for this association such as the possibility that people who are unable to find work during periods of low unemployment may be even more likely to have mental or physical health problems. These findings contrast with those of two recent studies that explored associations between individual and area-level characteristics on risk of suicide in Denmark and Finland.11 19 In the first of these studies, Martikainen and colleagues compared census data on area-level socio-economic characteristics with demographic characteristics of almost 14 000 people who died by suicide over a subsequent 10-year period. While large differences in rates of suicide were found in areas with higher levels of deprivation and lower levels of family cohesion, interactions between individual and area-level risk factors for suicide were not found.11 In a study examining interactions between characteristics of 9011 suicides in Denmark over a 15-year period with data on small-area level measures of income, marital status and employment status, Agerbo and colleagues found no evidence of an area-level effect on the likelihood of suicide among those who were unemployed or on low incomes. Suicide-prevention strategies often highlight the role of clinicians working in primary and secondary care and emphasise the importance of identifying those at risk of suicide.20 21 These findings suggest that in order for clinicians to make a proper assessment of the risk of suicide, they need to consider the social context in which the person lives.22 Similarly, public health interventions aimed at reducing suicide also need to consider the role that social context may play in accentuating the impact of risk factors for suicide among isolated and excluded groups. Individual-level socio-demographic risk factors for suicide have been established. Previous studies examining whether social context moderates the impact of these factors have reached different and conflicting conclusions. Data from previously published case control studies allow the impact of social context on individual-level risk factors to be examined across a wider range of settings. The higher the proportion of people who are unemployed, live alone and come from ethnic minority communities, the lower the impact these factors appear to have on risk of suicide. When assessing an individual's risk of suicide, consideration should be given to the prevalence of risk factors in the area where they live. World Health Organization. Mental health: facts and figures: suicide prevention. Geneva: WHO, 2006. World Health Organization. Suicide huge but preventable public health problem. Geneva: WHO, 2005.
. 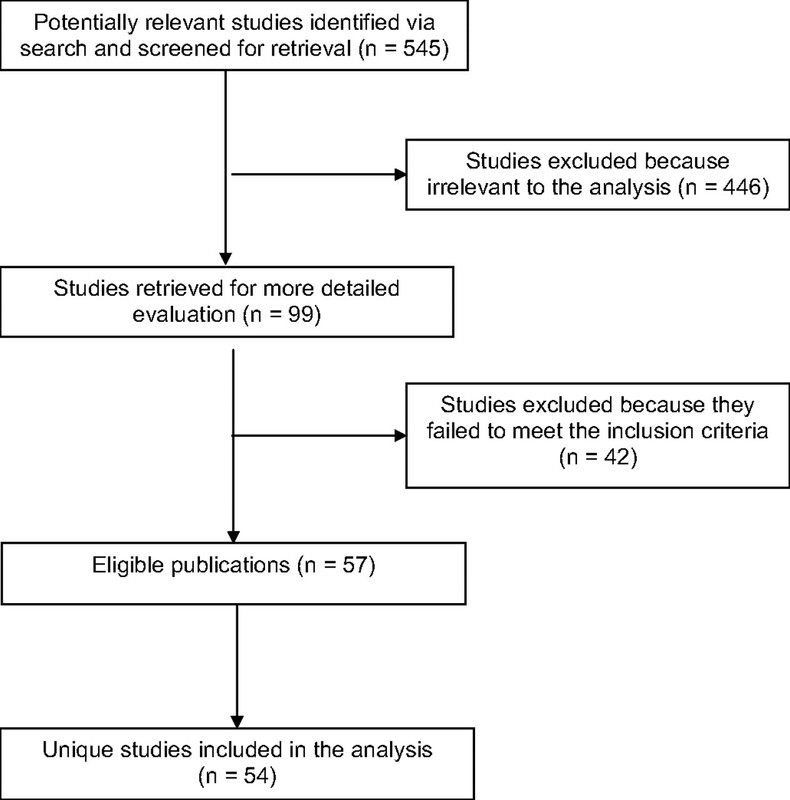 Psychological autopsy studies of suicide: a systematic review. Psychol Med 2003;33:395–405.
. The psychological autopsy approach to studying suicide: a review of methodological issues. J Affect Disord 1998;50: 269–76.
. A hundred cases of suicide: clinical aspects. Br J Psychiatry 1974;125:355–73.
. Suicide and self-burning among Indians and West Indians in England and Wales. Br J Psychiatry 1992;161:365–8.
. Neighborhoods and health: where are we and were do we go from here? Rev Epidemiol Sante Publique 2007;55:13–21.
. Ethnic minority suicide: a small area geographical study in south London. Psychol Med 1999;29:429–36.
. Practical statistics for medical research. London: Chapman & Hall, 1991.
. Variation in the rate of suicide in young men in the 366 county districts of England, 1979-1992-the importance of social context. Soc Sci Med 1999;49:1419–23.
. The effects of area and individual social characteristics on suicide risk: a multilevel study of relative contribution and effect modification. Eur J Popul 2004;20:323–50.
. Case–control study of suicide by discharged psychiatric patients. BMJ 1996;312:1580.
. Recent life events in elderly suicide: a nationwide study in Finland. Int Psychogeriatr 1995;7:287–300.
. Recent life events and suicide: a case–control study in Tallinn and Frankfurt. Soc Sci Med 2006;62:2887–96.
. Association between physical illness and suicide among the elderly. Soc Psychiatry Psychiatr.Epidemiol 2002;37:190–7.
. Regional suicide rates in The Netherlands: does religion still play a role? Int J Epidemiol 1998;27:466–72.
. Elderly suicide in Hong Kong—a case–control psychological autopsy study. Acta Psychiatr Scand 2004;109:299–305.
. Parasuicide and unemployment. Br J Psychiatry 1986;149:401–5.
. Combining individual and ecological data to determine compositional and contextual socio-economic risk factors for suicide. Soc Sci Med 2007;64:451–61.
. How are nations trying to prevent suicide? An analysis of national suicide prevention strategies. Acta Psychiatr Scand 1997;95:457–63.
. Beyond risk theory: Suicidal behavior in its social and epidemiological context. Crisis 2002;23:114–20. Funding Work on this project was supported by an educational grant from Imperial College London.